For me, traveling is freedom. If you are a travel blogger, I give you a standing ovation. Being a digital nomad, I understand how tough it is to blog while traveling. I also know that it’s even tougher to monetize your travel blog. There are many travel bloggers who often get sponsorship for traveling (like free trips with all expenses covered), but not everyone is so lucky at the beginning of their blogging career. Travel blogging is a popular & profitable niche that can generate great amounts of revenue using various monetization methods. *** Today I will be telling you about some of the top travel blog affiliate programs. This is a one of a kind list of travel affiliate programs & I hope you make the most out of it. If you are already well-versed in the art of affiliate marketing, then read on for the complete list of affiliate programs for travel blogs. Booking.com is a popular name in the travel industry. They also have an affiliate partner program that is open for anyone with a blog/website, an app, or a travel agency. As long as you can offer the best choice of accommodations, this program is for you. Free & easy sign-up process. Offers search box, deep linking, and banner integration options. They have an offer-based, commission split model. Payout mode is PayPal (create a PayPal account). You can integrate Booking.com’s search box on a WordPress blog by using this official plugin. Join Booking.com affiliate program here. When someone is planning a trip, they usually check out TripAdvisor for reviews, recommendations, and bookings. 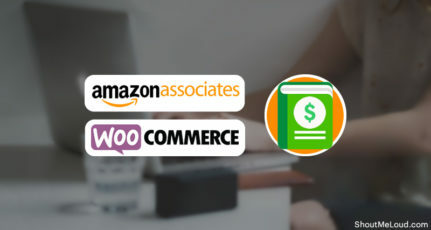 Getting on this affiliate program will be valuable as you can source content from their website and link your readers back to the original content through your tracking link. Deep linking to over 500,000 cities & hotels. Join TripAdvisor affiliate program here. Note: Tripadvisor program is available via CJ. You can get free Commission junction training here. With over a quarter million properties, Agoda definitely deserves to be in this mega list of travel blog affiliate programs. Their in-house affiliate program is open for everyone to join (but it’s mandatory to have a website/blog). The approval is a manual process & takes about 48-72 hours. Up to 60% commission on margin. Offers search box, text links & data feeds. Use hotel power ads to increase your revenue by 3x. Payout mode is direct bank transfer. Apply for Agoda affiliate program here. Note: Agoda’s affiliate program can also be joined using ShareASale. Skyscanner is one website that I always use when checking the price of a flight. If you have never used them, you should download their mobile app & I promise you won’t be disappointed. For your travel blog, Skyscanner offers various options. The one that you might want to start with is the Travel Widget. You can use this widget in your sidebar or around the content where you are more likely to have users take an action. This widget will redirect them to the Skyscanner site. If you want to take it to the next level, you can hire a developer & use the Skyscanner travel API to build your own search functionality on your website or mobile app. 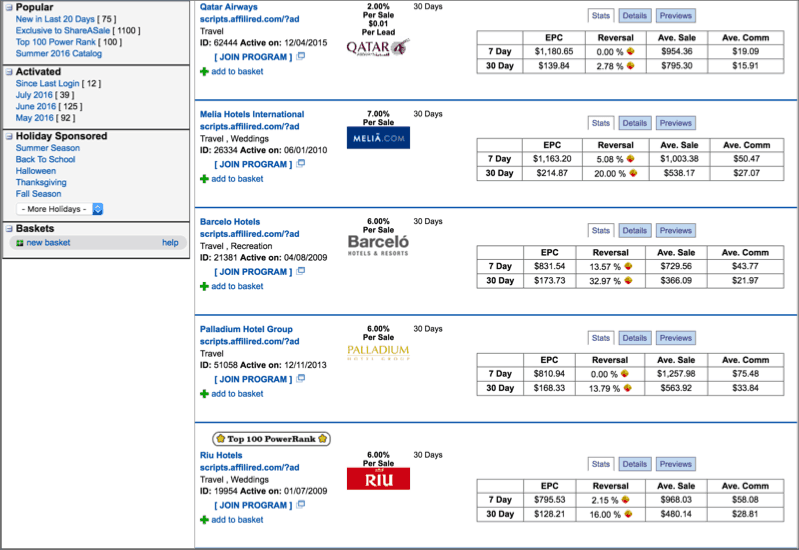 Offers white-label solutions for offering flight searches on your website. One of the most popular travel affiliate program APIs. Flight booking widget for your sidebar. One of the best & most detailed reference systems to help you get started. Supports flight bookings, hotel bookings, and rental cars. Join Skyscanner affiliate program here. 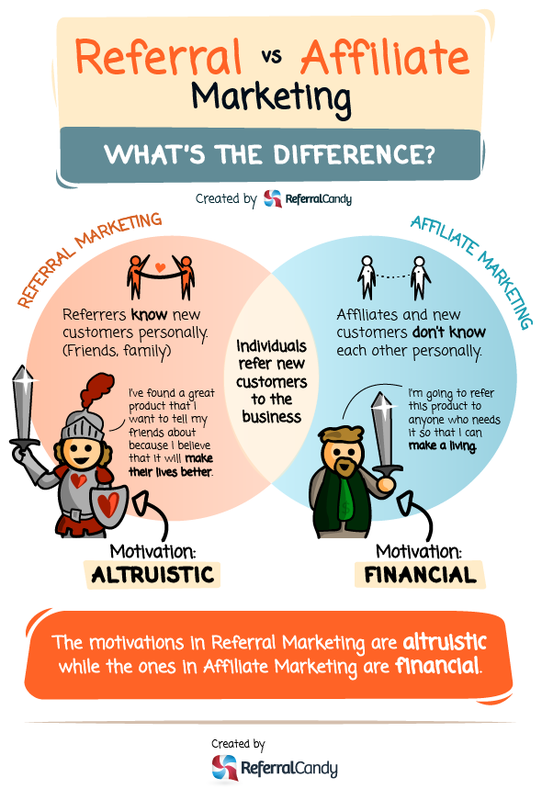 Referral programs & affiliate programs are two sides of the same coin. 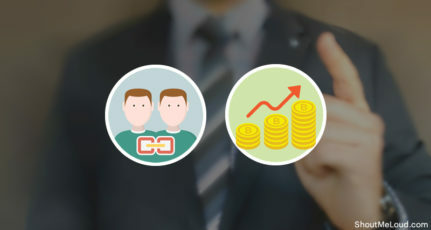 In a referral program, instead of earning hard cash, you earn points (or other non-monetary value) which you can utilize to buy products on the same network. AirB&B has a very popular referral program that helps you to earn decent “money” by referring other users. You can earn up to $72 for every successful referral & a maximum of $5,000 USD travel credit per account. 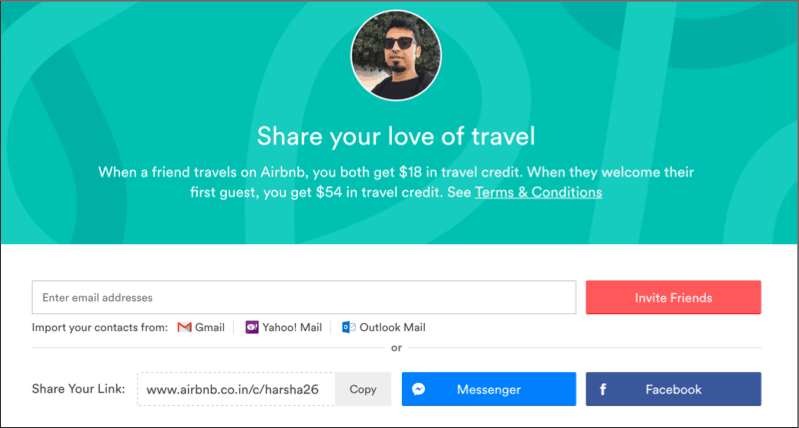 Easy to share referral link as a user will also get AirB&B credits worth $18. A well known name in the travel industry. 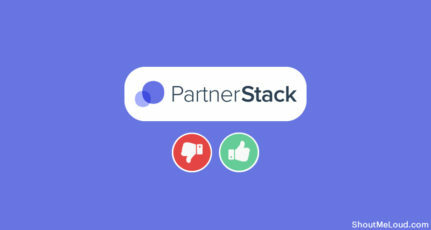 Note: You might want to have a look at other popular apps (such as Lyft, Uber, HotelsTonight) which also offer referral programs. ShareASale is an affiliate marketplace where you can find top affiliate programs in any niche. Many of the popular travel airlines, hotels, and services (such as Qatar Airways, Agoda, The Lalit Hotels, Riu Hotels, etc.) are available via ShareASale. If you have never used ShareASale before, the navigation may be confusing at the beginning. Payment via direct bank deposit. Easier to reach minimum payout than in-house affiliate programs. See the top performing affiliate programs in every niche. Join ShareASale affiliate marketplace here. Whenever I research or compile an exclusive niche-based affiliate program list like this, it is always incomplete without Amazon’s affiliate program. Amazon is the top destination for online buying. They have an amazing reputation and will help you earn great amounts of money in no time. Once you join the Amazon Associates program, you can link to any of the products listed on Amazon & earn money across the entire site. What’s really cool about the Amazon affiliate program is you will earn money whenever a referred user purchases any product from Amazon. That is, it doesn’t just have to be the product you sent them to. Getting started is easy and you will find tons of guides & videos. 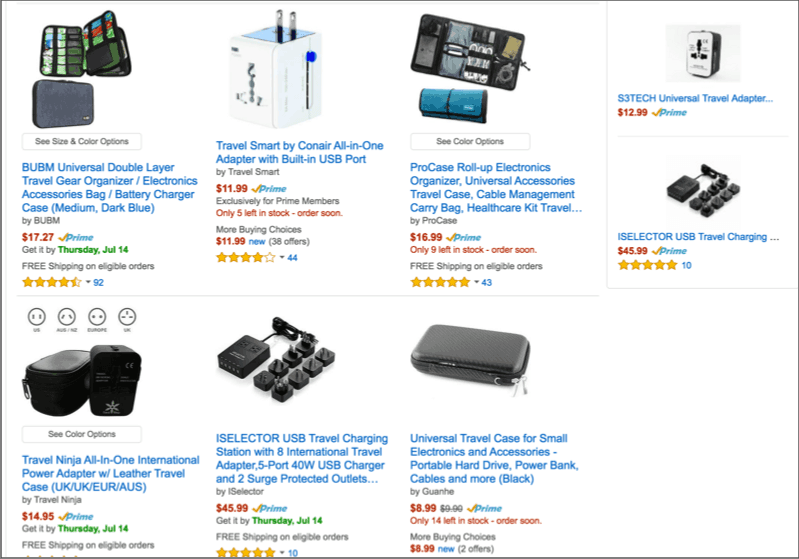 Numerous products related to travelers & traveling. Higher commission as you start referring more users. Join Amazon affiliate program here. Tip: If you find it time-consuming to create links for individual products, you can use Viglink to make the process easier. You can learn more about Viglink here & join here. If you have not joined any of the above-listed travel affiliate programs, then you should do that right now. This list is currently up to date, but to make it complete, it requires your contribution! Do let us know of any other popular affiliate programs for the travel niche that you would recommend to other travel bloggers. Make sure you use a link cloaking plugin to make your affiliate links user-friendly. I look forward to reading your tips & insightful ideas in the comments section below. If you find this list worthy, do share it on your favorite social networking sites! Don’t want to be mistreated you know I have high quality traffic, I’d rather not make anything then peanuts, I’ll keep my site free from ads until then to keep trust high. Great to hear about a new resource. Will definitely check it out. All these programs works only if you are getting good organic traffic to your website. So I think at first people should work on traffic volume and later about monetizing the blog. thanks for such a great content. There are plenty of OTA affiliate programs in LinkShare, but ExploreTrip is given us very good commission. Though there prices are very much cheaper than Expedia, CheapOair etc.. True, I got very good commission for last two months. Will keep promoting this program. Agoda is supercool. I use it for earning miles, nights as well as affiliate income. The transaction statement generates instantly in Agoda and comes on email. The money is realized once the client has checked out. Booking.com is too stringent. They want the transaction to appear as if the client/customer has done it using their credit card, when the fact is, lot of people are still not used to direct online purchase, especially when it comes to something like ‘Travel’, owing to varied ‘quality of service’. Another great service is Hotelscombined.com They allow ‘group bookings’ unlike FIT which gives you the flexibility to book for an entire group rather than getting restricted to 10 pax maximum. Great Post Harsh. I have compiled an ebook on Miles Programs available for free download on Scribd. It has insights on how to earn miles for travel. I’ve been using the booking.com affiliate program for about 6 months now and only made about $60US in all that time but I have to be patient since travel is quite competitive. I recently also joined expedia which doesn’t pay as well but good for hotels I don’t get through booking.com for my target location. Affiliate marketing overall requires a lot of patience. very nice article…. it will definitely help for travellers. If you need real natural peace then you must interact with nature by traveling and setting up your destination. This is very informative thank you! I have found TravelPayouts, Viator, and RentalCars as good affiliate programs. Thanks for the detailed post for travel blogger. I had recently started my travel blog and it is coming up slowly. But one thing I want to know bro when to start monetising blog for affiliate marketing. I am not getting that much traffic at present. My blog got approved for Adsense. Thanks for this article. Booking.com is because of its brand the most worth partner for travel blogs and destination sites. They provide 3 official plugins, but as a publisher, I recommend using their online tools that you can find in the affiliate dashboard to customize (inspiring) search boxes, deal finders and more. 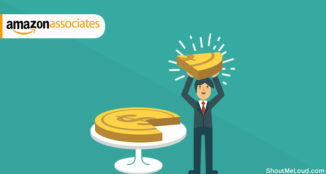 Should You Join Direct Affiliate Program or Affiliate Marketplace? How A Blogger Can Increase Affiliate Sales? 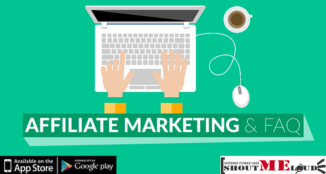 Why Affiliate Marketing is better than PPC Monetization? 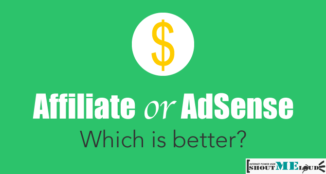 Affiliate or AdSense: Which Makes More Money?